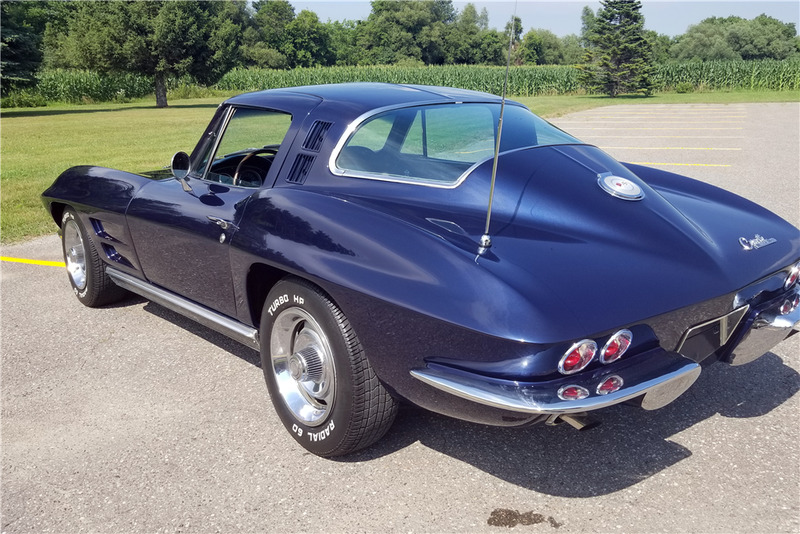 This Corvette Sting Ray is powered by 327/365hp engine backed by a 4-speed manual transmission. 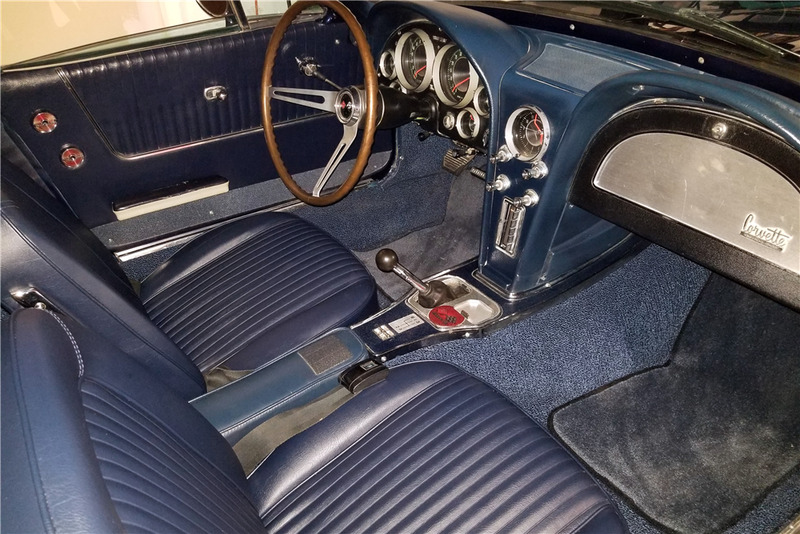 Finished in beautiful Daytona Blue with matching blue interior, this ‘Vette was kept in temperature-controlled storage for 27 years before it was treated to a mild body-on restoration. 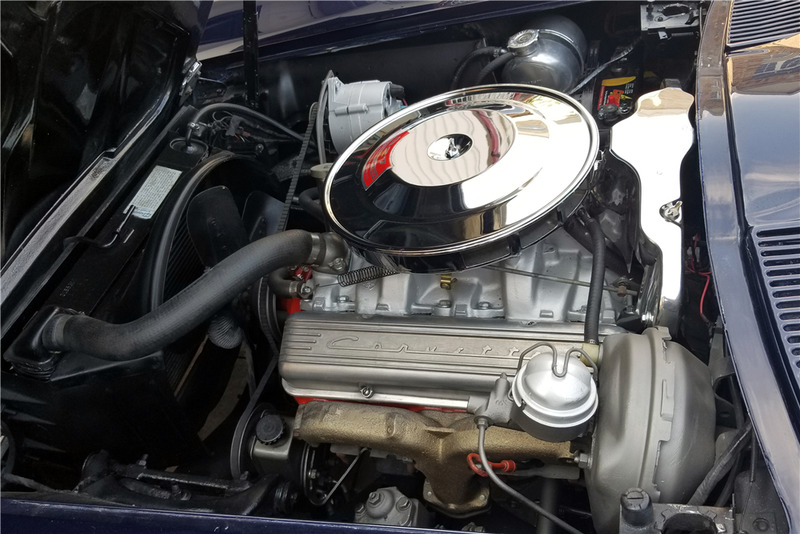 The engine was pulled and rebuilt, and all other engine components checked. The interior was treated to new padded seats, seat covers and carpet. The rest of the interior was left in its original condition. 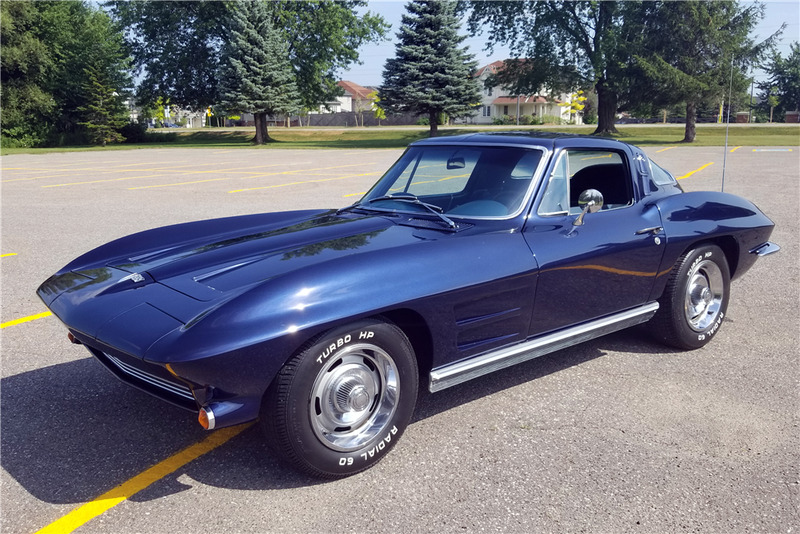 This Corvette comes with factory options that include power windows, power brakes and power steering.